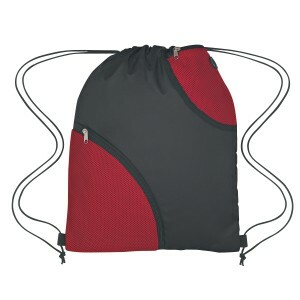 Promotional Eclipse Sports Pack Drawstring Bags are made available in color combinations such as Black with Red, Orange, Royal Blue or Black, and they have a total dimension of 14" W x 17 ½" H. The 3 ¾" W x 7" imprint area in these custom polyester / Nylon drawstring bags, 2 front zippered soft mesh pockets, drawstring closure and built-in slot for Earbuds are major highlights of these custom drawstring bags. 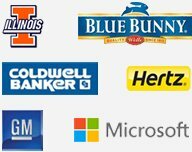 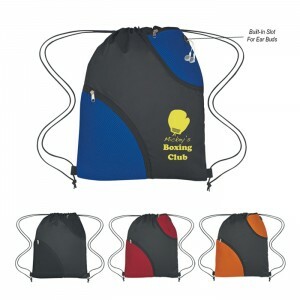 Sports clubs, fitness centers and schools can make use of these products for promotions. 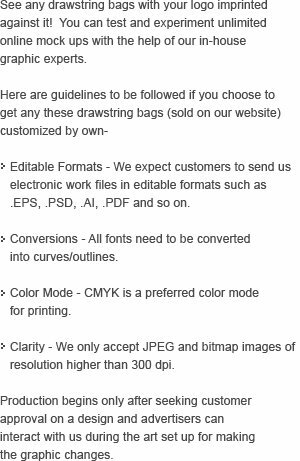 Order these drawstring bags quickly to gain free artwork design and fastest turnaround times. 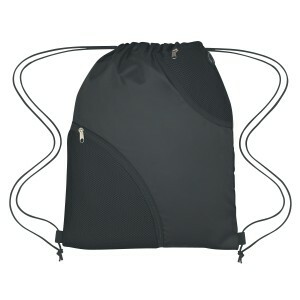 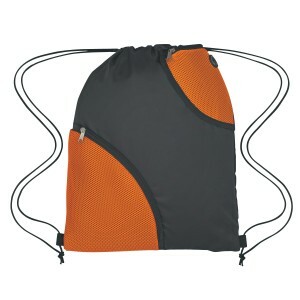 Request a quote to know wholesale savings for these Promotional Eclipse Sports Pack Drawstring Bags. 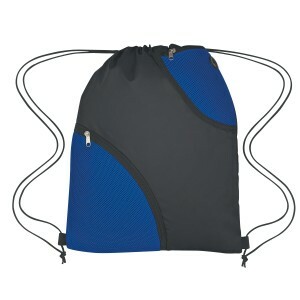 Available Colors : Black with Red, Royal Blue, Black or Orange.